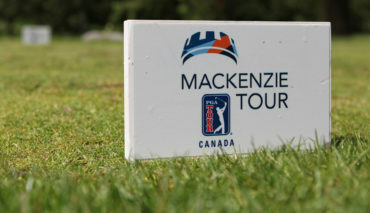 The Mackenzie Tour – PGA TOUR Canada announced its 10-player team for the Go Vacaciones Cozumel Cup presented by Assist Card, the third annual Tour vs. Tour event which pits the top Mackenzie Tour players against the top PGA TOUR Latinoamérica players. The team, consisting of the top available players on the 2018 Mackenzie Tour Order of Merit, will compete against a 10-player team from PGA TOUR Latinoamérica in a Presidents Cup-style event at Cozumel Country Club in Cozumel, Mexico, from December 11-15, 2018. The PGA TOUR Latinoamérica team will be announced following the season-ending Latinoamerica Tour Championship – Shell Championship in Miami, Florida, November 29-December 2. The three competition days of the Go Vacaciones Cozumel Cup is comprised of four-ball, foursomes and singles matches, on December 13, 14 and 15, respectively. After a team vote, the players announced the playing captain representing the Mackenzie Tour is Sam Fidone, the sixth-ranked player on the 2018 Order of Merit. Joining Fidone on the team are: George Cunningham (Tucson, Arizona), Zach Wright (Phoenix, Arizona), Corey Pereira (Mission Viejo, California), Michael Gellerman (Tucson, Arizona), Danny Walker (Bradenton, Florida), Ben Griffin (Chapel Hill, North Carolina), Ian Holt (Stow, Ohio), Mark Anguiano (Bellflower, California), and Blake Olson (Pensacola, Florida). Leading the team in international experience is Wright, who was one of the best-performing members from the 2016 American Arnold Palmer Cup team. 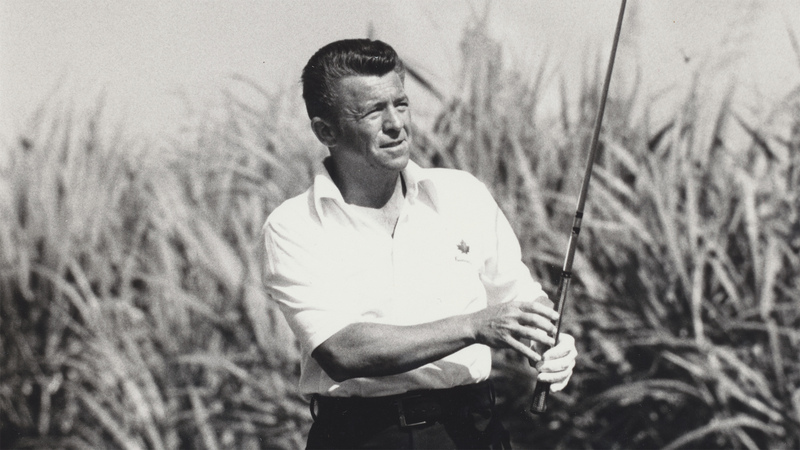 Wright had a 2-0-2 match record at the event that pits American and international college golfers against each other. 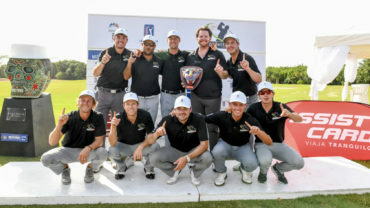 The inaugural team event, previously named the Aruba Cup, took place in 2016, with the team from PGA TOUR Latinoamerica defeating the team from the Mackenzie Tour, 13-7, while the 2017 edition saw the Mackenzie Tour strike back with a tight 11 ½-10 ½ victory. 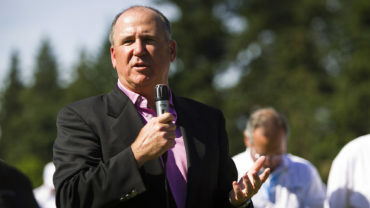 George Cunningham Tucson, Arizona Posted one win (GolfBC Championship) and four top-fives. Also had two top-40s on the PGA TOUR. Played 24 of 40 Mackenzie Tour rounds in 67 strokes or less. Zach Wright Phoenix, Arizona First player to open a Mackenzie Tour season with six-consecutive top-10s. Had three runner-up finishes and seven-total top-10s. Corey Pereira Mission Viejo, California Played 20 consecutive rounds under-par to close his season. Enjoyed eight top-25s, including a win at the ATB Financial Classic. Michael Gellerman Tucson, Arizona Turned in two runner-up finishes and five top-fives. Sam Fidone Lufkin, Texas Won the Bayview Place DCBank Open by five strokes, the season’s largest margin of victory. Added two other top-10 finishes. Danny Walker Bradenton, Florida Won the season-ending Freedom 55 Financial Championship and picked up one other top-10 finish. 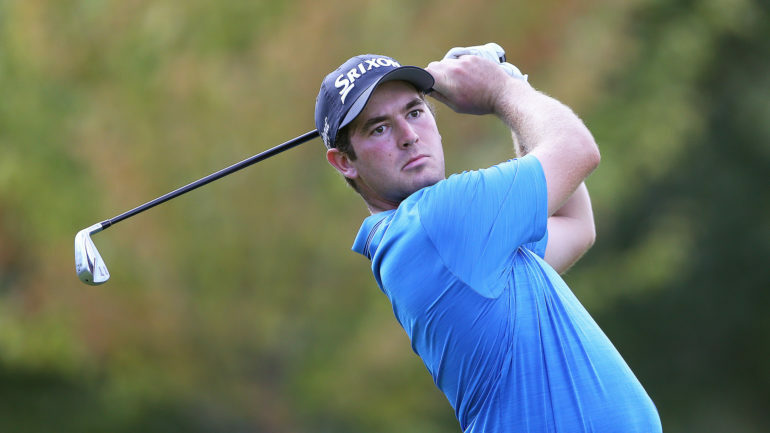 Ben Griffin Chapel Hill, North Carolina Won in his sixth professional start, at the Staal Foundation Open. Picked up another top-five in his professional debut. Ian Holt Stow, Ohio Claimed seven top-25 finishes, including a runner-up finish at the Syncrude Oil Country Championship. Mark Anguiano Bellflower, California Along with a win at the Windsor Championship, finished with four other top-25 showings. Blake Olson Pensacola, Florida Three top-10 finishes included a victory at the Mackenzie Investments Open presented by Jaguar Laval.